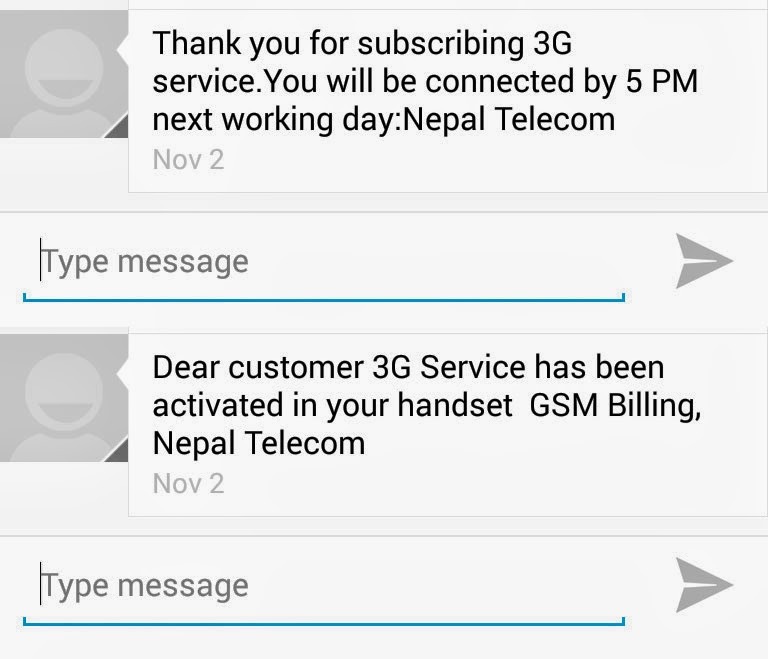 Nepal Telecom (NT, some still call it NTC) has started offering free 3G activation for prepaid as well as postpaid sims. 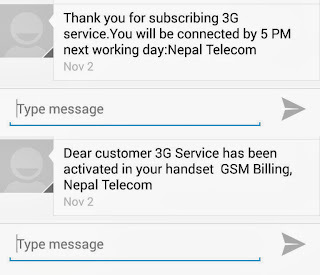 The subscription fee and the need to go to a Nepal Telecom sim center and fill up a form has been waved off for prepaid sim card users of this company. Now both prepaid as well as postpaid sim card users can activate a faster internet for their mobile phones. Type 3G in the message area. Activation/Subscription is quick and painless now. This 3G internet offered by Nepal Telecom might not be the fastest 3G that the world has seen but it is comparably a fast mobile internet available in Nepal. The company claims its 3G speed to be upto 7.2 Megabits / second. Personal experiences has shown that it is fast. Data rates are 10 Paisa per 100 KB. Data charges are actually incurred after sometime. It is possible for your mobile phone balance to go negative. Coverage is mainly in Kathmandu Valley. Pokhara, Banepa, Bhairahawa and Baglung are also covered. I thought the postpaid 3g was unlimited(600 rs per month). Is it true?